Palmer's Olive Butter Formula Lotion is formulated with antioxidant-rich Extra Virgin Olive Oil, and Vitamin E, to help maintain skin's youthful appearance, leaving the skin feeling touchably soft and silky. Our unique Anti Aging Peptide Complex helps increase skin's firmness and elasticity. Delicately scented with a light, fresh fragrance. Explore the entire range of Lotions & Creams available on Nykaa. 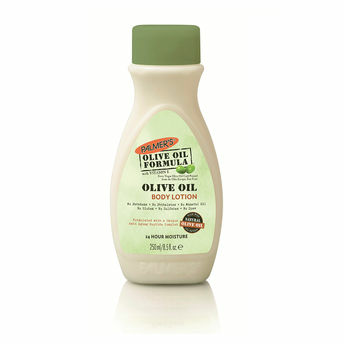 Shop more Palmer's products here.You can browse through the complete world of Palmer's Lotions & Creams .